Thanks to the trust and support by all of you, our path has now reached Silicon Valley! We’re heading off to San Francisco 10 days from now as a part of Boost VS’s Tribe 7 program. We were selected among hundreds of other companies to work on Intugame SDK which you already know about. While in the US, we’ll meet with other VR developers, entrepreneurs, investors and many more key people. We’ll visit conventions and various events and hopefully we’ll be able to even meet some of you – our valuable supporters. In the meantime, the work on improving our app – Intugame VR – doesn’t slow down a bit. We’ve got tons of additions planned out and we can barely wait to implement them and make you even happier! 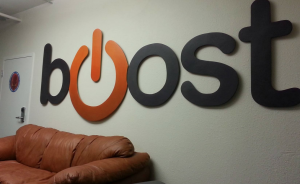 Boost VC is the accelerator for Digital Reality (VR/AR) & Bitcoin companies. Tribe 7 is a fully immersive program which provides housing, office space, mentors and investment. During the program we will be exposed to Boost's network of mentors, sector specific networking events, plus connections to their huge network of investors. They invest in the selected companies and offer housing for the duration of the program right across the street from the office (shortest commute of all time!). The biggest strength of Boost is the community and the live/work environment which fosters team bonding and a great atmosphere for idea cross-pollination. Huge thanks to all of you from our humble team!